We are offering the last few copies of this essential reading for anyone working on the establishment of the new Primary Care Networks at the reduced price of £9.99. Introducing new roles, building partnerships, working at scale with other practices and much more is covered, all illustrated with real life case studies. GP practices, federations and CCGs will find this book an invaluable resource to help resolve some of the most difficult challenges facing GP practices today. We present 16 inspiring case studies from across the country to illustrate tangible and significant differences local GP practices have made for their patients and their practices. We include details of how challenges such as GP recruitment, the relentless growth in demand, and severe financial difficulties have been successfully tackled. In-depth analysis, practical examples and learning has been captured in an easily accessible format so you can replicate their successes in your practice and your local area. If you work in a GP practice, or work with GP practices in a federation or a CCG, this book is for you. The best actions to take are those proven to be successful elsewhere, and this book provides in depth analysis of 16 real life case studies of places that have made a real difference to the challenges general practice is facing. If you want to learn from how others have successfully tackled the challenges already facing general practice today, this book is for you. This book is available for a limited period only for £9.99 – a discount of over 60%! Ben Gowland: Ben has twenty years’ experience in introducing innovation to the NHS including eight years as a Chief Executive. He has extensive experience of working with GPs. He set up Nene Commissioning, the multi-award winning GP-owned PBC group which he then successfully steered into becoming one of the country’s largest CCGs. He founded Ockham Healthcare in 2015 which actively supports innovation in General Practice, and presents ‘The Ben Gowland Podcast’ which presents new ideas for general practice every week. Ian Keeber: Ian leads on general practice communication for Ockham Healthcare. He produces The Ben Gowland Podcast, and has over thirty years’ experience in the NHS working across all sectors. Senior Consultant, PA Consulting Group, London. Well done for pulling these stories of hope together, its a great resource. All too many people in Primary Care tell you what you can’t do, these are examples of what can be done when these people are ignored. Innovation and determination underpin all of these case studies, I hope they inspire others to roll up their sleeves and get their hands dirty making Primary Care better care! Thanks for publishing such a useful and inspiring book! So refreshing to read something that goes beyond just rhetoric – this is packed with tangible examples and practical action that practices and CCGs can take to really start to make a difference in tackling the challenges that general practice is facing – essential reading!!! 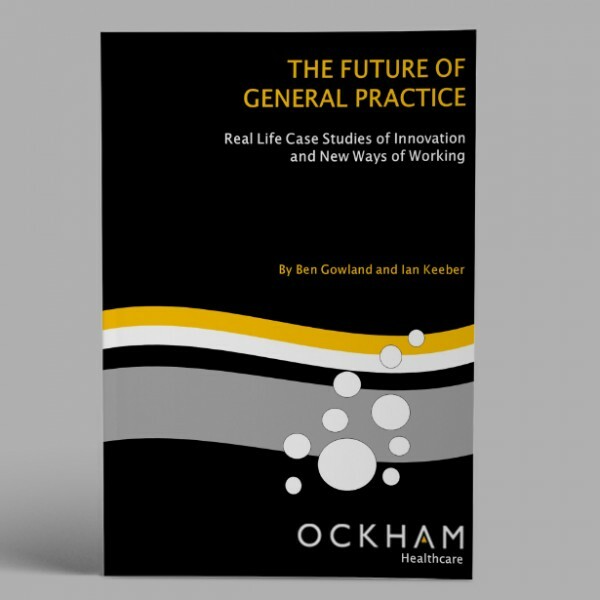 I really enjoyed reading The Future of General Practice – it is packed full of practical ideas that have been tried and tested elsewhere. If you are interested in Primary Care workforce issues, this is an essential investment. I am part of a Community Education Provider Network where this is a fantastic resource to support our discussions on how we develop the primary care workforce locally. Many thanks to the team, and I look forward to the next edition! Overall, this is probably the best summary of the options open to general practice that I have seen. 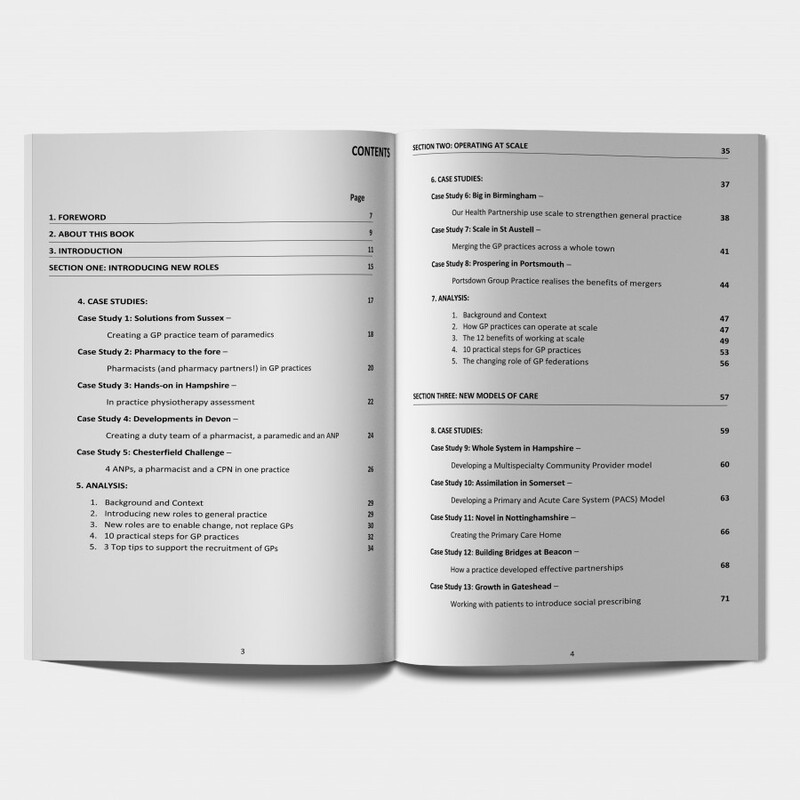 It is just over 100 pages, laid out concisely, and packed with examples, tips, lessons and practical guidance. Inevitably it will date as the process of change in the NHS continues apace, but for now I heartily recommend it to everyone interested in the options for GP development. If you are looking for a publication that simply outlines new ways of working for General Practice, in an easy to read format, with lots of tips on how to do it, including what lessons were learnt, then this book is it! Having waded through multiple NHS England documents, I was delighted to find this concise book which gives details of real life case studies of innovation. I will be recommending it to my NHS Colleagues. Thought provoking train reading from Ben Gowland; new roles, new models of primary care, operating at scale – recommended for all GPs.